WAFFLES: Hey Boss! Have you seen him? WAFFLES: You know! The Great Leper Can! WAFFLES: That's what I said! The Great Leper Can! He's supposed to bring us golden chicken from his big pot by the rainbow. I wonder if he'll bring me a side of gravy. Maybe I should text him. 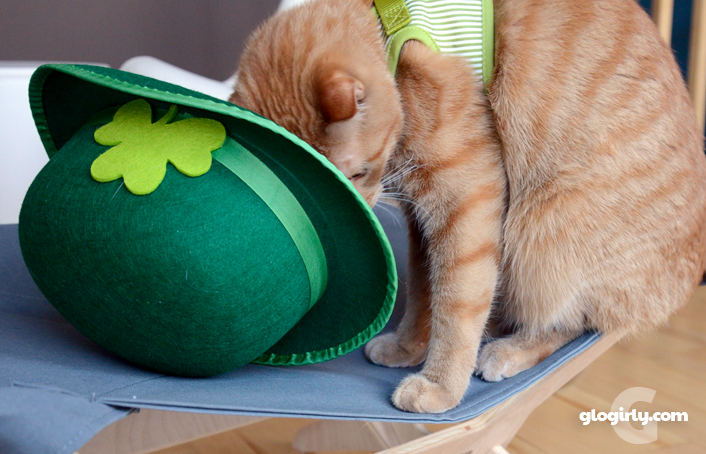 KATIE: Waffles, I hate to tell you (not really) but the Great Leprechaun doesn't have any chicken in his pot. And even if he did, I don't think he'd be making any special deliveries. WAFFLES: You just don't believe in him, Boss. But he's real you know. And so's his big pot of golden chicken. I just know it. KATIE: Ok, ok Waffles. If you believe, that's all that counts. Don't let me stand in the way of your leper can dreams. WAFFLES: Uh, hello Mr. Leper Can? I'd like to order one large pot of golden chicken with a side of gravy. And an extra drumstick for the Boss. And one mac and cheese, hold the mac. Tomorrow is St. Catricks Day! Thank you friends, for always making our Irish eyes smile. In honor of St. Paddy's Day, we have a special limerick for you. MOL! 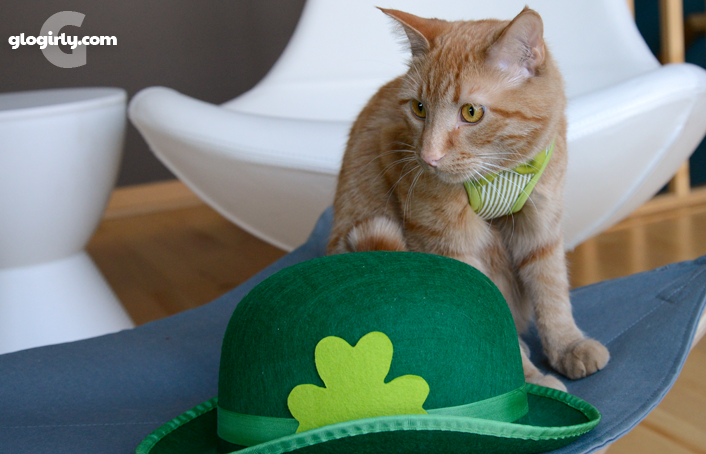 Happy St. Catrick's Day! I bet Waffles also believes in the Great Pumpkin! Aww ... what a great post!! Waffles, I believe in the Great Leper Can and he will bring you a big ol' fat chicken!!! MOL!!! Happy St. Catrick's Day!!! Hope Waffles gets his golden chicken and shares with Katie! 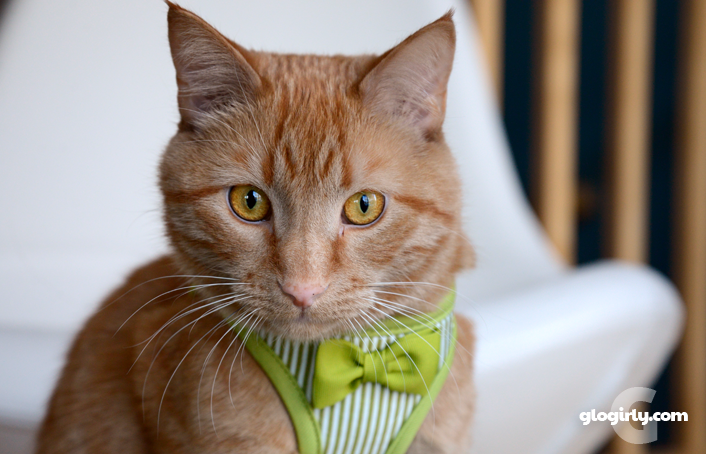 Happy St. Catrick's Day to you all and we hope he brings you lots of nip. We're hoping for a big ol' pot o' nip! Happy St. Patrick's Day! 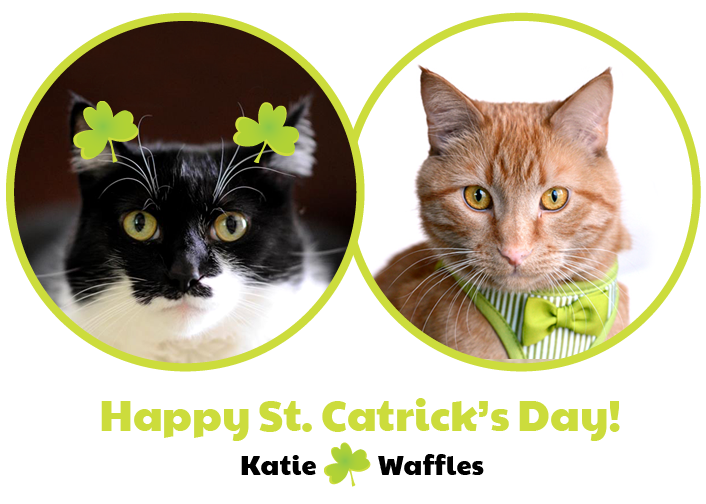 Happy St. Catrick's Day - fun pictures and poem! 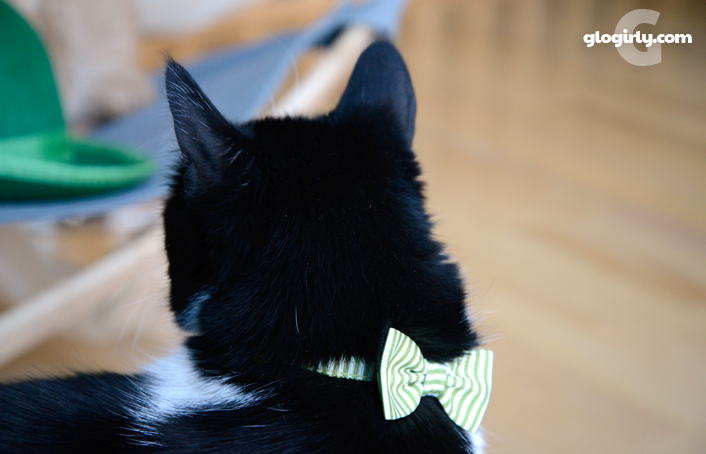 Happy St. Catrick's Day. Fun post. You both look so good in your green clothes. I hope the Leper Can delivers!! Hot diggity, those photos are great! *glances around* Great Leper Can, I will find you! OOh, I hope the Great leper delivers! Happy St. Paddy’s Day guys! Waff, the great Leper Can has gold in that pot and with that gold you can buy a whole lot of chicken or even your own Col. Sanders’ franchise. We hope the Leper Can brings you lots of golden chick-hen!! Hope you find your pot of gold(en) chick-hen Waffles. 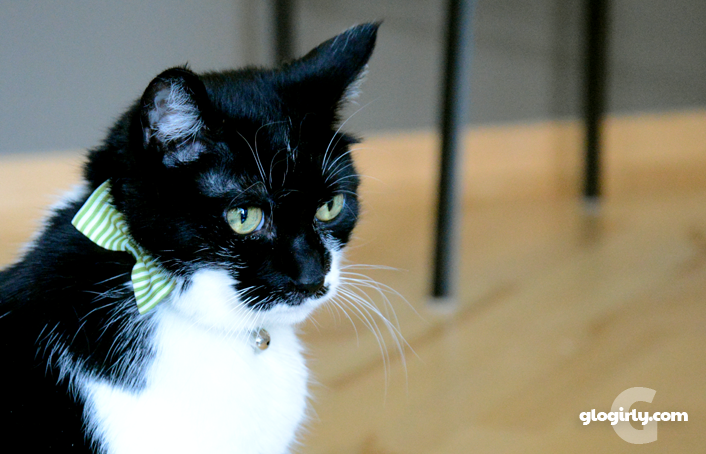 Oh dear... Jazmine had her heart set on chicken... Green purrs from all of us at Zee & Zoey's Cat Chronicles! 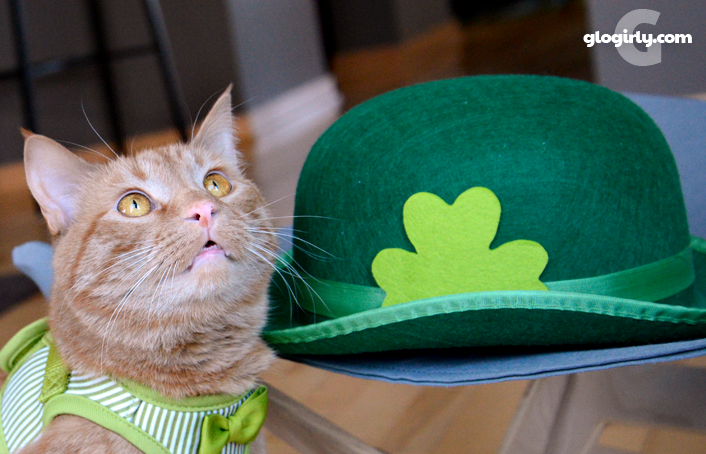 Happy St. Catrick's Day! Nothing wrong with a pot o' chicken at the end of any rainbow! Golden chicken??? We believe! We believe! 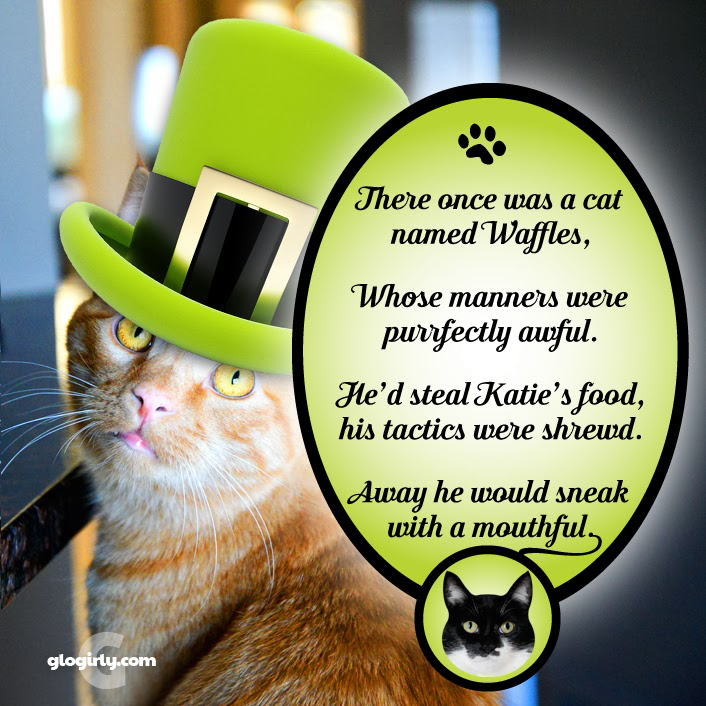 Happy St. Patrick's Day Katie and Waffles! We hope some of that golden chicken was delivered to your condo.